It’s a bad day when you discover your vehicle needs a new engine. You must decide if your car is worth fixing. Sometimes it is. Other times it makes more sense to take the money you’d spend on a new engine and invest it in a replacement vehicle instead. Only you can decide which option is best for you. If you do decide to fix it, you don’t have to pay full retail price for a new engine. You can save a bundle of money by buying a used one. That’s because used car parts cost much less than new ones. 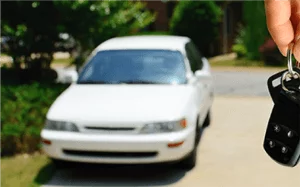 Buying a used engine can help get you back on the road without spending as much in car repairs. But, if you buy a used engine from a shoddy salvage yard, or purchase a random one from Craigslist, you may end up in a worse situation than before. If the used engine you buy doesn’t work, you’ll be out the money you spent, and your vehicle still won’t work. Then you’ll have to start the process over, while trying to deal with getting your money back for the junk engine you purchased. So if you’re going to buy a used engine, make sure it’s a good one. Here are five specific things you want to know before purchasing. These will help reduce your risk when buying a used engine. There are plenty of junkyard scams going on. Before purchasing anything from a salvage yard, take a few minutes to look them up online. Check for any information you can find, including certifications, awards, and reviews. You want to make sure you’re dealing with a reputable company and not a couple of guys selling auto parts out of their garage. Use common sense and look for any red flags. If the price or value seems too good to be true, it probably is. 2. What’s the Mileage on the Engine, and How Old Is It? The mileage on the engine makes a difference in its life expectancy. While engines with more miles will typically cost less, they may not last as long. Your ideal motor will have about 15,000 miles per year. With just a little math, you can figure this out by dividing the total number of miles on the engine by its age in years. Often when a vehicle is totaled from a wreck, the engine is still working great. But, not always. Especially if the damage to the vehicle was in the front, or there was a fire under the hood. You have two ways to find out about the condition of the engine. You can purchase the engine and install it and see if it works. Or, you can buy an engine that’s been tested. The second method is obviously easier. There are two main methods of testing engines. The first is a run test. 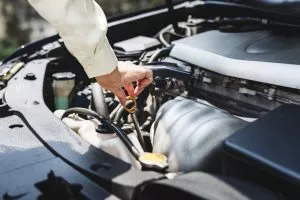 This can be done by a certified technician who will start the engine and perform tests on the engine whether it’s on a stand or still attached to the vehicle. The second method is a compression test. This is utilized when the car can no longer start, and can tell you a lot about the condition of the engine. Ask about testing before you purchase an engine, especially if you’re purchasing one without a warranty. 4. Will This Engine Work in My Vehicle? You don’t need an identical match to find a compatible engine. Often manufacturers used the same engine for several years, or in different models of cars. Do your research and make sure the used engine you are looking at will work in your car. Tear-A-Part has a proprietary system at each of their locations that can help you pinpoint which models will work. You don’t want to purchase a used engine without a warranty. Check around and see what is covered, and how long the warranty lasts. Make sure to ask if there are any conditions on the warranty. Then make sure you get this information in writing. If it’s on the bottom of your receipt, hang onto your receipt! This way if you get the engine installed and something is wrong with it, you will be able to return it. You really don’t want to be stuck with an engine that doesn’t work. Are you in the market for a used engine? With a massive inventory that changes daily, Tear-A-Part probably has what you need. Give us a call today and we’ll help you track down the engine you need to get your car back on the road.